Germany now operates the first fully electric bus running the long distance. Starting this Thursday, FlixBus serves four times a day between Frankfurt and Mannheim and has special stops at the Frankfurt Airport and Heidelberg. Previously, FlixBus also introduced electric buses between Paris and Amiens as a regular service, but this is the first time the company offers zero emission travel in Germany. The electric bus, called BYD C9, can go up to 320 miles and can transport up to 40 sitting passengers. The bus needs to charge twice a day and at the depot overnight. The devices are equipped with two charging points each and, thanks to a cooperation with Greenpeace Energy, supply electricity from renewables at 40 kW. FlixBus is a start-up from Munich that mainly serves as mobility provider. They outsource the operation of the routes mostly. Their all-electric train network called FlixTrain includes routes between Hamburg and Cologne as well as Berlin and Stuttgart. The trains will use energy from renewables as provided by Greenpeace exclusively next year. 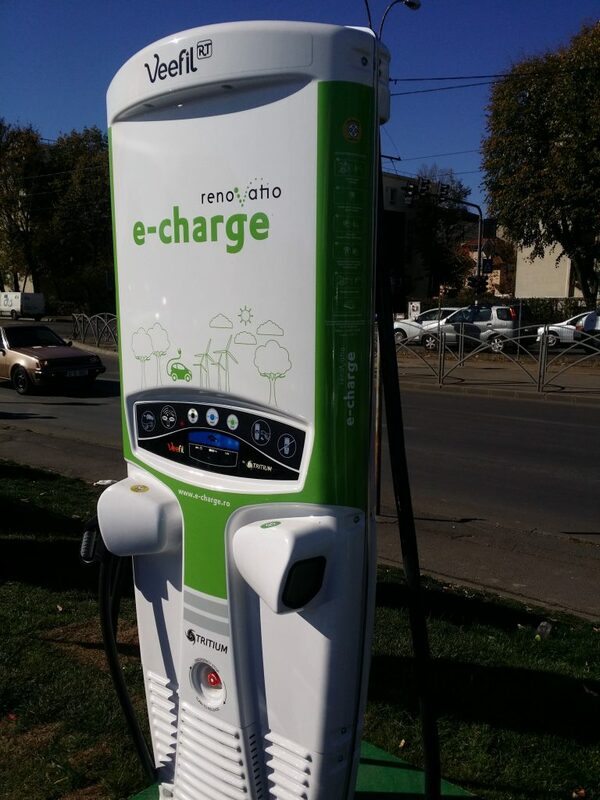 Renovatio e-charge and Kaufland Romania unveiled today the first fast charge hub in Romania and Eastern Europe, located inside Kaufland Barbu Vacarescu. The event was marked with a press conference, during which the following discussed about the progress made in terms of developing the electric charging infrastructure: Alexandru Teodorescu, CEO Renovatio, Valer Hancas, Corporate Affairs and Communication Manager Kaufland Romania and Ion Campeanu State Secretary in the Ministry of Environment. Those attending had the chance to interact with over 20 electric cars and to discover the latest news about the Renovatio e-charge network. 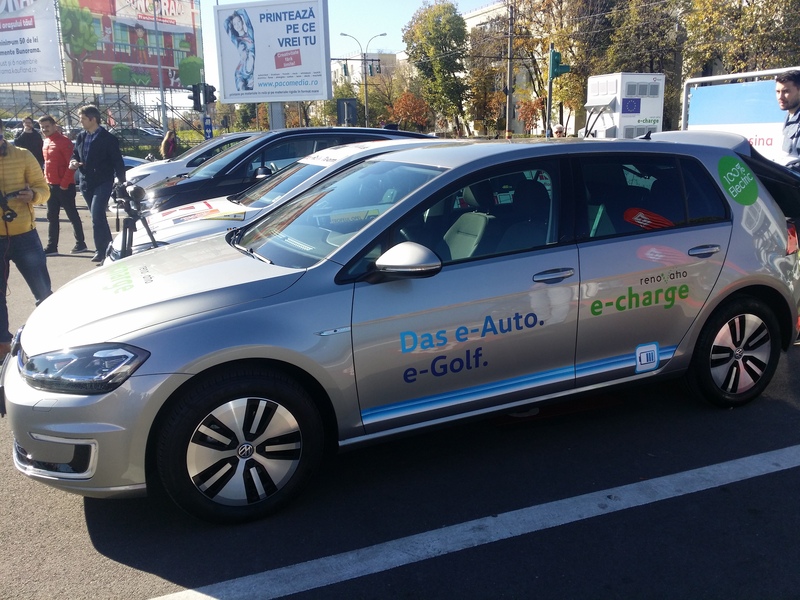 After the press conference, all 20 electric cars left for a caravan throughout Bucharest, to promote sustainable mobility and the need to reduce pollution in the urban environment. The route followed included some of the main streets and boulevards in Bucharest: Barbu Vacarescu – Stefan cel Mare – Piata Victoriei – Calea Victoriei – Splaiul Independentei – Bd. Libertatii – Bd. Unirii – Piata Unirii – Magheru – Piata Victoriei – Charles de Gaulle – Arcul de Triumf – Fantana Miorita – Baneasa Shopping City. The caravan is part of Sustainable Mobility Forum, an event organised in September this year, by Renovatio, Idea Events and Green Revolution. Administrative deficiencies, fear of the negative reaction of citizens, difficulties in accessing funding, although in theory all munIcipalities benefit from pre-allocated funds, as well as disregarding the importance given to Mobility Plans are just some of the problems identified by the speakers in the first day of Sustainable Mobility Forum, a landmark conference organised by Renovatio, Green Revolution and Idea Events. The event took place during 26-27 September, in Bucharest, at the Sheraton Hotel. “Most municipalities have old public transport systems, so we can take advantage of the opportunity to attract non-refundable funds, structural funds dedicated to Romania and, municipalities in particular, can also benefit from pre-allocated funds, therefore there isn’t even a competition between them. The rest of the municipalities have enough funds for coherent projects worth dozens of millions of Euros.”, explained Radu Andronic, General Manager FIP Consulting. He also underlined the authorities’ reluctance in informing citizens about their plans in terms of implementing mobility projects, out of fear that they will generate a negative reaction. However, it is this lack of communication in particular that creates a tense relation between authorities and citizens. Dan Petre, president of the Institute for Liberal Policies, believes that public policies related to implementing urban mobility programs must take into consideration the specific of social factors. “It is a matter of understanding social factors. I, for example, wouldn’t apply solutions from the Northern Europe to the Southern Europe. We are much more interested in the social status than we are in being efficient and this is something visible on the streets. Not just in Romania. We see it in Greece, in Italy or in Spain. We must adapt.”, explained Dan Petre, president of the Institute of Liberal Policies. Catalin Boghiu, General Director of DGTV City Hall of Iași also took part to this discussion and he offered valuable information about the smart mobility projects implemented or currently being implemented in Iași. The day continued with a special intervention from Michael Sattler, Head of Future Energy OMV Austria, regarding OMV’s vision on the future of mobility and development plans. During his intervention, Sorin Chiriță, Bucharest City Manager-ul, announced that, according to a multi-annual plan, the municipality will install, by 2020, 400 electric charging stations. ”Through the Municipal Public Transport Management Company, we intend, and it is already approved in the Council, the capital increase of this company for the purchase of electric cars, to do that car-sharing for the mayor’s apparatus and PMB subordinate institutions. It is a first step to encourage car-sharing systems”, said Sorin Chiriță. Demis Ghindeanu, Co-Founder Pony Car Sharing, Tiberiu Gindu, Business Development Executive BCR eGO and Madalina Tofan, New Mobility Development Manager Porsche Finance Group – Sharetoo have also underlined the utility of car-sharing services, both in the public and private sector. As far as the acquisition of 100 electric buses in concerned, Sorin Chiriță added that this is still a challenge, mainly as far as power supply and maintenance are concerned. Moreover, Bucharest’s City Manager said that the municipality will start testing a smart-parking application next month. Also until next month, they will finalize the work on the network of 72 km of bicycle tracks. ”We had 2.3 million unique customers in ten years, in the cities where we are present with I’Velo. It is an impressive number that tells us that there is demand, there is a market. What causes them not to go on a bicycle that is not in a bike-sharing system is the lack of infrastructure and safety”, said Raluca Fișer, President of Green Revolution. The discussion regarding the concept of bike-sharing and alternative means of transportation was completed by Mark Mul, Project Leader Mobility Dutch Cycling Embassy, who offered valuable insights on how similar projects were implemented in Holland. According to Alexandru Teodorescu, CEO Renovatio, 80% of the total of electric charging takes place at home. ”The infrastructure of the future means having all charging points close to you, so when you come back to your car you find it charged. 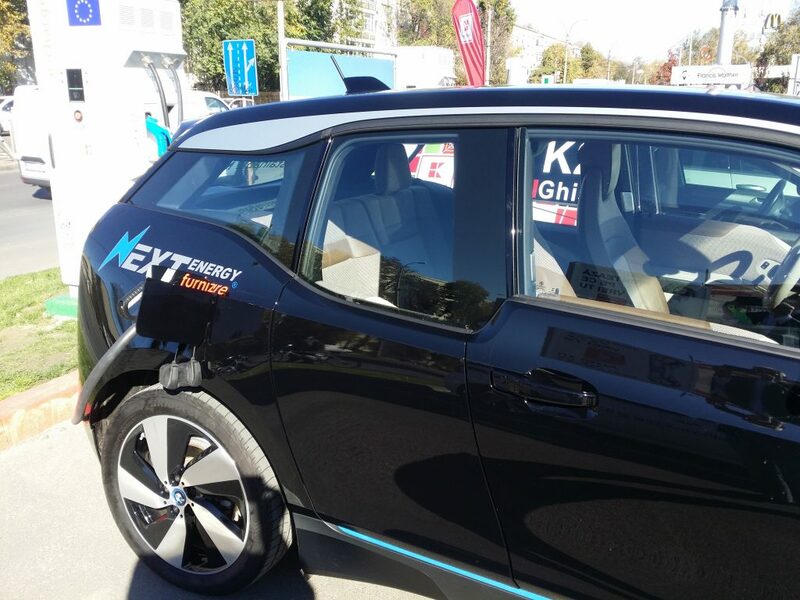 We try to have as many charging stations as possible in the city, but the base remains at home.”, said Alexandru Teodorescu. For Corneliu Belciug, the Projects Director of Green Revolution, the main challenge for mobility services providers is their capacity of anticipating user’s preferences. ”When we are talking about urban mobility, we must first look at what people want. The world is changing. This year they might want a bike, but next year, they might want a scooter. Urban mobility is not a fixed thing. Our biggest challenge is to be flexible enough and fluent in decisions so we can keep up with the market”, said Corneliu Belciug. The second day of Sustainable Mobility Forum, a landmark conference organised by Renovatio, Green Revolution and Idea Events, continued with a discussion about the European Commission policy regarding the decarbonisation of mobility. This policy is being implemented in most of the member states, particularly in terms of developing the charging infrastructure for electric cars. ”We want to change the paradigm, but it is going to take a while. The good news is that we now where we are. Compared to two years ago, we noticed an accelerated development in the medium class segment”, said Richard Ferrer, Head of Innovation Team, Innovation and Networks Executive Agency (INEA). He also underlined the fact that for the financing period of 2020 – 2027, the European Commission will allow consistent funds towards research, development and decarbonisation of mobility. In this context, the vice-president of the Environmental Fund Administration, Dorin Coarcheș, said that the Minister of the Environment is waiting for the European Commission’s approval for a second state aid scheme for the development of the charging station infrastructure for electric cars at national level. ”Romania has the largest subsidy in Europe to stimulate the purchase of electric cars. Ecobonus is 10,000 euros. In 2017, demand for this segment increased 100 times compared to 2016”, said the vice-president of AFM. According to his statements, the AFM has budgeted € 100 million for the three municipalities in violation of the air quality – Bucharest, Constanta and Brasov – for the purchase of electric buses and trolleybuses. The debates where also completed by the interventions and clarifications of Mr. Gabriel Friptu, Deputy General Manager, General Department for Programs, Ministry of European Funds. According to Jan Cupal, Senior Innovation Manager, Verbund, Austria, in Europe there must be installed over 1100 ultra-fast charging stations, by 2021. ”If you feel like that is too much, by comparisson, Austria has approximately 3000 gas stations”, said the representative of Verbund Austria. He also added that the investment in building an ultra-fast charge station can rise up to 600.000 euro. ”However, these types of stations are the future of long distance travel”, added Cupal. Present in the debates, Claudia Griech, Chief Commercial Officer, E.ON Romania, spoke extensively about the NEXT-E project, in which E.ON Romania, together with MOL Group, HEP Croatia, Petrol, Nissan and BMW, is planning to install 222 fast charging stations (50kW) and 30 ultra-fast (150-350kW) charging stations by 2020, in the Czech Republic, Slovakia, Slovenia, Hungary, Croatia and Romania. ”In Romania we will have 40 fast charging stations (50 kW). 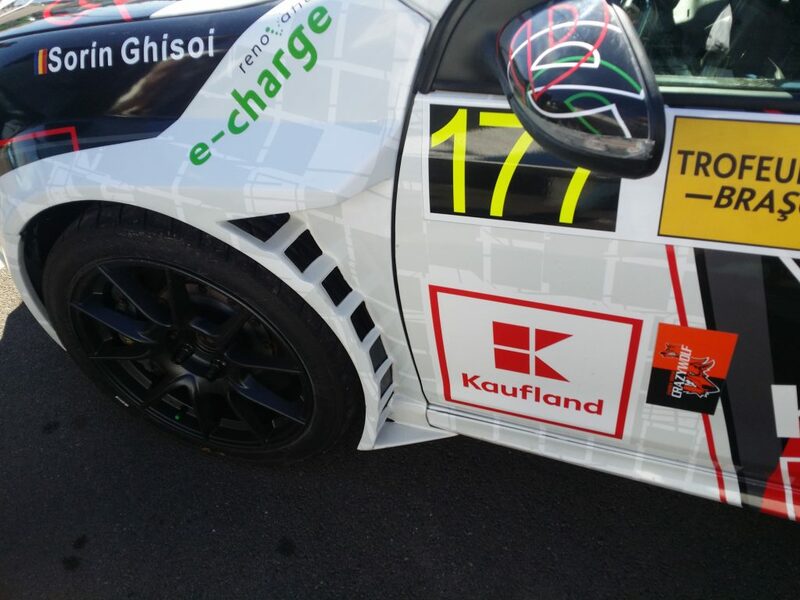 We will install 19, and MOL 21”, added Claudia Griech. 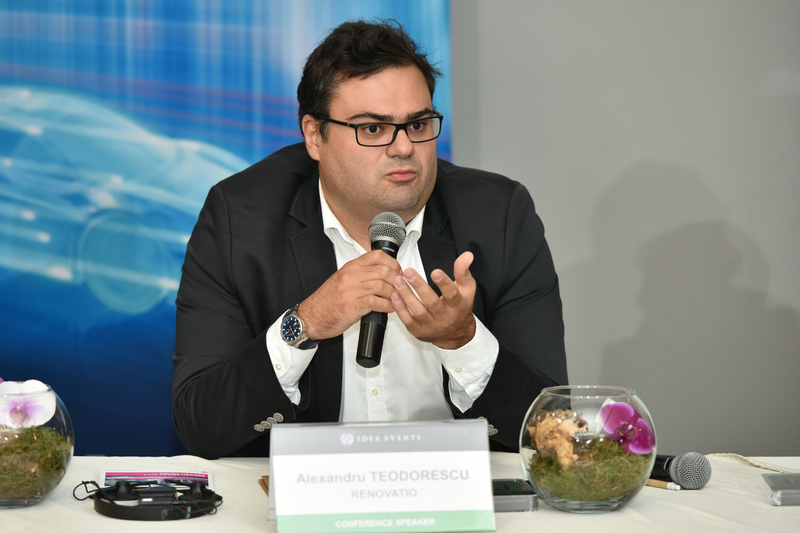 According to Alexandru Teodorescu, CEO Renovatio, in Romania, we cannot currently talk about a competition in this field. ”We are all working together to develop the infrastructure”, said the CEO of Renovatio. Moreover, Teodorescu announced the fact that together with Kaufland Romania, they have developed the first multi-fast charge hub in Romania, inside Kaufland Barbu Vacarescu. The station allows the simultaneous charging of six vehicles, three in fast charge (DC 50kW) and two in slow charge (AC 22kW). Dumitru Becșenescu, President of NGVA România and General Director of Denisson Energy, mentioned the utility of compressed natural gas, as a viable alternative to classic fuels. CNG generates up to 30% less greenhouse gases than gasoline or diesel. In Romania, Denisson Energy, a member of the Antares group and NGVA Romania are developing the project CNG Romania, which aims to implement 9 CNG stations along pan-european corridors. 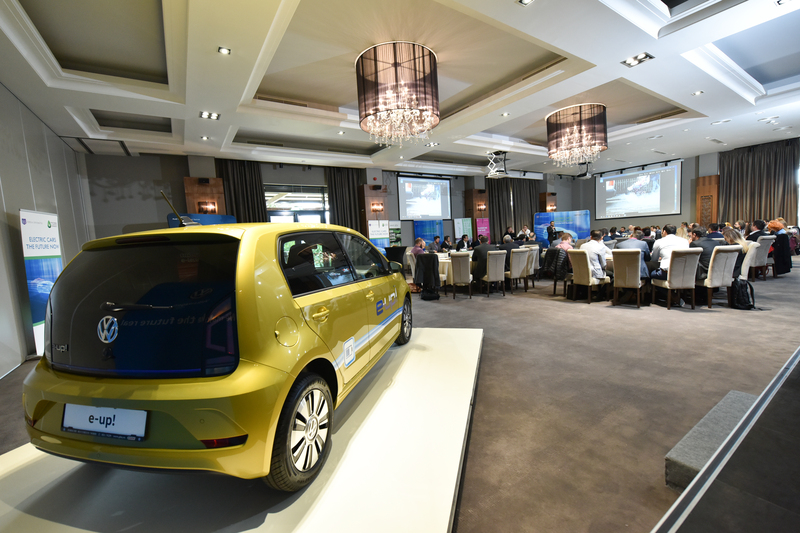 The second part of the day started with an intervention from Bogdan Florea, Head of Volkswagen Division, who spoke about the future of electric mobility in terms of autonomous driving, digitalization and connectivity. The discussions focused on infrastructure at a European level and projects that support its development. Among the speakers that participated to the discussions were Stefan Richter, Business Development & Strategic Projects SMATRICS Austria, Lasse Anbuhl, Manager Market Development HUBJECT and Dino Novosel, Head of e-Mobility Telekom Croatia. Stefan Richter spoke about the importance of private partnerships for the development of a European charging infrastructure, giving the example of the project where, together with Enel and Verbund, they are contributing to the development of a pan-European corridor of electric charging stations. 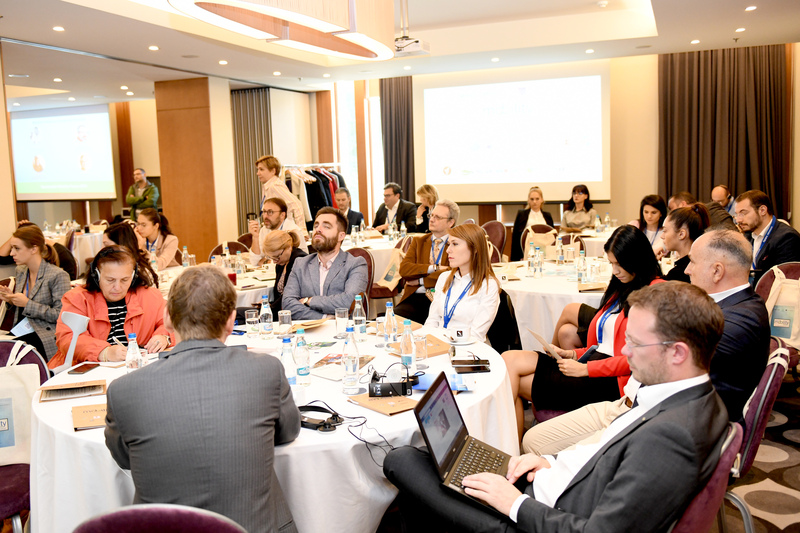 For the second time in Romania, Lasse Anbuhl (Hubject) continued the discussions on the second day of the Sustainable Mobility Forum with more details about the Hubject platform and future expansion plans. Dino Novosel joined the discussions and offered valuable insights on the Croatian development model. The conference ended with a panel of discussions dedicated to the future of electric mobility. Alexandru Vescu, Head of Electric Vehicles Department Renault România, Bogdan Florea, Head of Volkswagen Division, Adelina Sandu, CASE Implementation Specialist Mercedes-Benz România, Alexandru Șeremet, Corporate Communication Manager BMW România answered the question ”Is the future of electric mobility autonomous and connected?” and presented their future plans in terms of electric mobility. The event will be followed up by a caravan of electric mobility, set to take place in Bucharest, in October. For more details, please visit: www.sustainable-mobility.eu. For the year 2019, the organizers aim to run a new edition of the event, bringing together an even bigger number of institutions and actors involved in sustainable mobility. Together with them, they will continue to discuss important issues on the national and international agenda, and will follow the evolution of the industry and of the projects currently under implementaton at the local and European level.